Resumen: Hoy día, muchos de los acontecimientos relacionados con la vida cotidiana tienen que ver directa o indirectamente con procesos biotecnológicos. Debido a ello y, dado que la biotecnología es una materia incluida en el currículo de la enseñanza secundaria obligatoria (ESO), se pretende conocer el nivel de conocimientos y la actitud hacia esta disciplina con la que termina el alumnado de esta etapa educativa. Para ello se realizó un estudio con 104 alumnos de 4º curso de ESO en la Comunidad Autónoma de Andalucía. El estudio se realizó concretamente en varios centros de las provincias de Huelva y Málaga, a través de un cuestionario. El posterior análisis de los resultados nos sugiere que la mayoría de los alumnos que terminan la enseñanza obligatoria no poseen los conocimientos necesarios o mínimos para interpretar mucha de la información que se pone en juego en la sociedad actual. Además, se ha podido ver cómo sus actitudes hacia los diferentes procesos biotecnológicos están relacionadas con su nivel de conocimiento y con sus propias preconcepciones. Palabras clave:Educación Secundaria Obligatoria; Biotecnología; Didáctica. Abstract: Today, many of the events related to everyday life have to do directly or indirectly with biotechnological processes. Due to this, and given that biotechnology is a subject included in the compulsory secondary education (ESO) curriculum, the aim is to know the level of knowledge and the attitude toward this discipline with which the students of this educational stage finishes. For this, a study was carried out with 104 students of the 4th year of ESO in the Autonomous Community of Andalusia. The study was carried out in two high schools in the provinces of Huelva and Malaga, through a questionnaire. The subsequent analysis of the results suggests that the majority of students who finish compulsory education do not have the necessary or minimum knowledge to interpret much of the information that is put into play in today's society. In addition, it has been possible to see how their attitude towards the different biotechnological processes is related to their level of knowledge and with their own conceptions. Keywords: Compulsory Secondary Education; Biotechnology; Didactic. Acevedo JA, Vázquez A, Manassero MA. (2003) Evaluación de actitudes y creencias CTS: diferencias entre alumnos y profesores. Revista de Educación 328: 355-382. Aznar V. (2000) ¿Qué sabemos sobre biotecnología? Alambique 25: 9-14. Blaine K, Kamaldeen S, Powell D. (2002) Public perceptions of biotechnology. Journal of Food Science 67(9):3200-3208. Bybee R. (1997) Towards an understanding of Scientific Literacy. En: Graeber W and Bolte C (Eds). Scientific Literacy. Kiel. IPN. Cavanagh H, Hood J, Wilkinson J. (2004) Riverina High School student’s views of biotechnology. Issues in Biotechnology Teaching 8(2):121-127. Dawson V, Schibeci R. (2003) Western Australian high school students' attitudes towards biotechnology processes. Journal of Biological Education 38(1): 7-12. Ekborg M. (2008) Opinion building on a socio-scientific issue: the case of genetically modified plants. Journal of Biological Education 42(2):60-65. Gaskell G. (2000) Agricultural biotechnology and public attitudes in European Union. AgBioForum 3(2-3):87-96. Gunter B, Kinderlerer J, Beyleveld D. (1998) Teenagers and biotechnology: A survey of understanding and opinion in Britain. Studies in Science Education 8(32):81-112. Hill R, Stannistreet M, O’Sullivan H, Boyes E. (1999) Genetic engineering of animals for medical research: students’ views. School Science Review 80:23-30. Lewis J, Wood-Robinson C. (2000) Genes, chromosomes, cell divition and inheritance – do students see any relationship? International Journal of Science Education 22(2):177-195. Vázquez-Bernal, B., Wamba,A. y Jiménez, R. (Eds). (2014) Investigación y transferencia para una educación en ciencias: un reto emocionante. XXVI Encuentro de Didáctica de las Ciencias Huelva: Universidad de Huelva. pp:781-788. Luján JL, Todl O. (2000) Perceptions, attitudes and ethical valuations: the ambivalence of the public image of biotechnology in Spain. Public Understanding of Science 9:383-392. McHughen A. (2007) Public perceptions of biotechnology. Biotechnology Journal 2(9): 1105-1111. Mohapatra AK, Priyadarshini D, Biswas A. 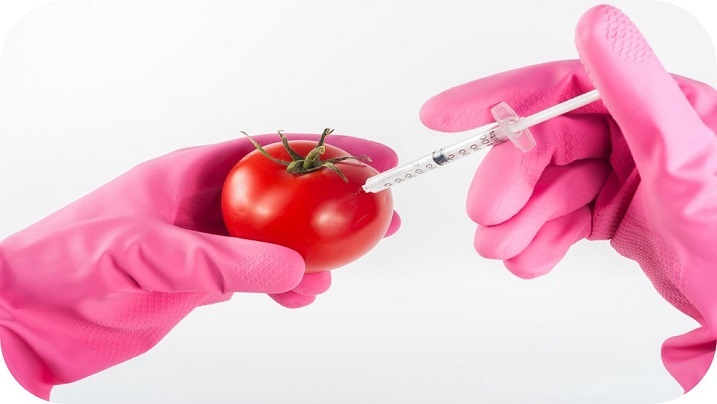 (2010) Genetically modified food: knowledge and attitude of teachers and students. Journal of Science Education Technology 19:489-497. Ocelli M, Vilar TM, Valeiras N. (2011) Conocimientos y actitudes de estudiantes de la ciudad de Córdoba (Argentina) en relación a la biotecnología. Revista Electrónica de Enseñanza de las Ciencias 10(2):227-242. Özel M, Erdogan M, Usak M, Prokop P. (2009) High school students’ knowledge and attitudes regarding biotechnology applications. Educational Science 9(1):321-328. Pedrancini V, Corazza-Nunes MJ, Galluch MT, Moreira AL, Nunes WM. (2007) Saber científico e conhecimiento espontâneo: opiniões de alunos do ensinomédio sobre transgénicos. Ciência e Educão 14(1): 135-146. Powell DA. (2000) Food safety and the consumer-perils of por risk communication. Canadian Journal of Animal Science 80(3):393-404. Prokop P, Lesková A, Kibiatko M, Diran C. (2007) Slovakian students’ knowledge of and attitudes toward biotechnology. International Journal of Science Education 29(7):895-907. Russell, B., Huelin, G. S., & Sacristán, M. (1969). La perspectiva científica. Ariel. Sadler TD. (2004) Informal reasoning socioscientific issues: a critical review of research. Journal of Research in Science Teaching 41(5):513-536. Simons R. (2010) Gender differences in knowledge and attitude towards biotechnology. Public Understanding of Science 19(6):642-653. Solbes J, Vilches A. (2004) Papel de las relaciones entre ciencia, tecnología, sociedad y ambiente en la formación ciudadana. Enseñanza de las Ciencias 22(3):337-348. Solbes J, Vilches A. (2002) Visiones de los estudiantes de secundaria acerca de las interacciones Ciencia, Tecnología y Sociedad. Revista Electrónica de Enseñanza de las Ciencias 1(2). Tegegne F, Aziz A, Bhavsar H, Wiemers R. (2013) Awarenesis of and attitudes towars biotechnology by Tenesse State university students with different backgrounds and majors. Journal of Biotechnology Research 5:16-23. Usak M, Erdogan M, Prokop P, Ozel M. (2009) High school and University students’ knowledge and attitudes regarding biotechnology. A Turkish experience. Biotechnology Education 37(2):123-30. Vázquez A, Acevedo JA, Manassero MA, Acevedo P. (2006) Evaluación de los efectos de la materia CTS de bachillerato en las actitudes CTS del alumnado con metodología de respuesta múltiple. Revista Eureka de Enseñanza de Divulgación Científica 3(3):317-348.
von Roten FC. (2004) Gender differences in attitudes toward science in Switzerland. Public Undertanding of Science 13:191-199.